Those who enjoy getting holiday cancellation insurance and taking a trip within the UK could find that they get a taste for the caravan lifestyle after taking such a break. According to the Caravan Club, taking a holiday in a caravan "does become a holiday choice and a lifestyle choice" and noted that people who own caravans could potentially take a holiday "every Friday night" if they chose to. 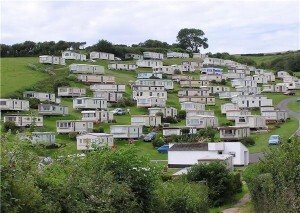 Her comments followed findings from Park Resorts which revealed that the holiday resort firm has seen sales of caravans rise by 40 per cent this year. As well as this, VisitEngland said that in the first half of 2009, there was a 14 per cent rise in the number of UK-based holidays taken by British residents. Whether Brits are taking a break within the UK or overseas, they could find that getting travel insurance is a wise move to help them cover the potential financial cost of sorting out any problem they encounter on a break. Published by World First Travel Insurance - providers of worldwide travel insurance for all types of holiday, cheap annual travel insurance and great family travel insurance. World First also offer medical travel insurance for pre existing conditions.